I have decided that this year my favorite herb is marjoram! I am just loving it – it is an easy to grow herb and a classic flavoring. We’re talking about Sweet Marjoram or Majorana hortensis not Wild Marjoram or Origanum majorana. 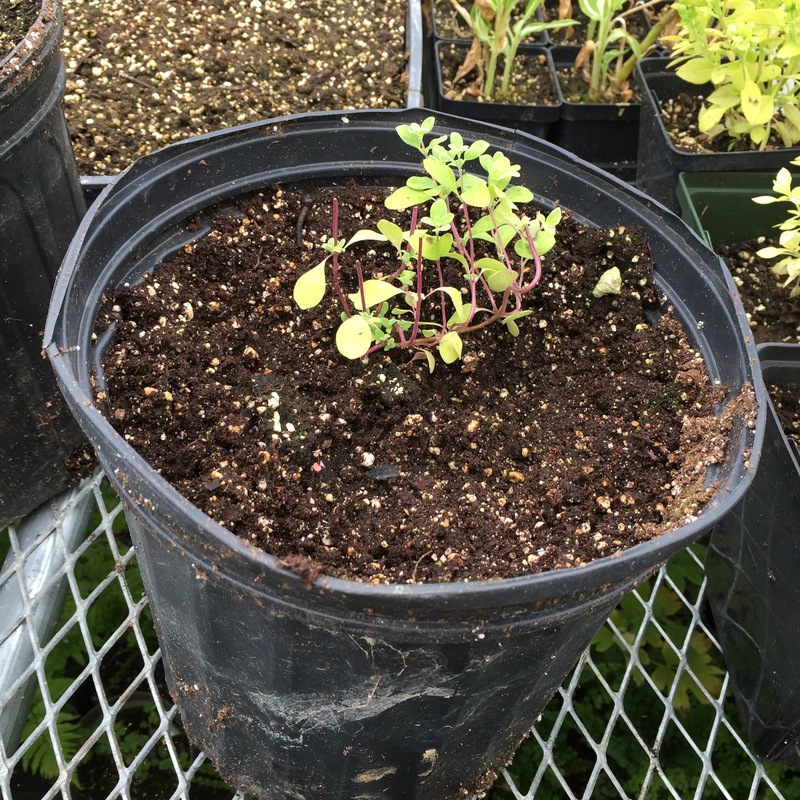 I pulled together a short video as I was transplanting some of my marjoram plants last week. Watch it here. Lots more info and herbal and gardening info on our Midsummer Farm website! One of my student at a workshop mentioned making a simple soup with Potatoes and Marjoram. And it haunted me – I had to try to make it myself and wanted to try it a couple different ways. As I experimented, I couldn’t help but think that this could be used as way to really get to know the flavor of a particular herb. Marjoram is a perfect example- it is a rather rare herb- often herbs labeled marjoram are actually oregano. 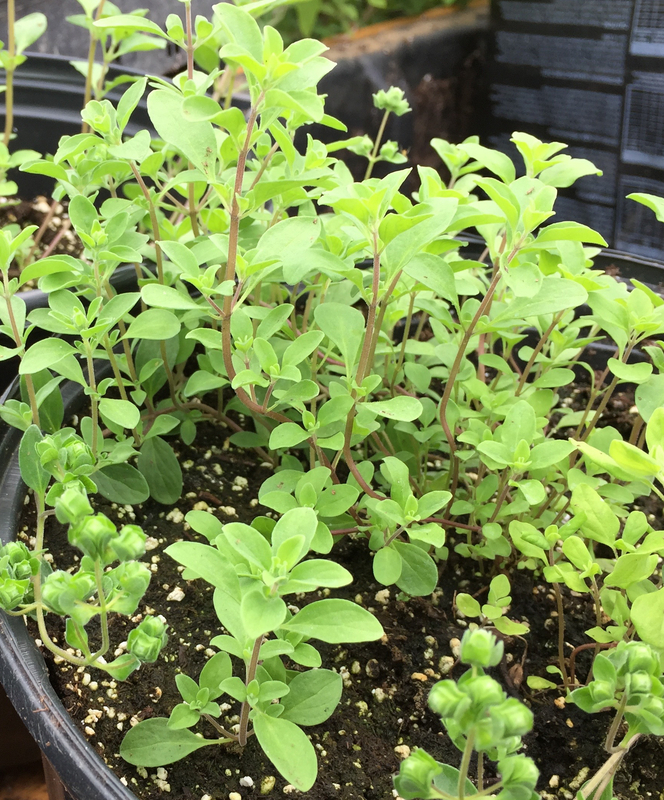 Many recipes that call for marjoram state that oregano can be substituted… but it really can’t in most cases and one of the bets ways to learn this and get a clear feeling of marjoram’s flavor profile is through a soup like this! Start with heating your olive oil on medium-low heat in a medium sized pot. Add chopped leeks, add a sprinkle of salt and pepper, and cook them until soft. Add the potatoes and cover with water. Cover pot, but leave a bit ajar. Simmer potatoes until they are tender, about 20 minutes or so. Take off heat and using a masher or immersion blender to mush up the potatoes. You don’t have to be veyr thorough here – I like to have a creamy and thick soup but with some chunks of potato still. Add marjoram or other fresh herb, stir it in and taste for seasoning. Add more salt and pepper if necessary. You can add a dollop of heavy cream at this point too. And enjoy! This soup can be reheated just fine too! 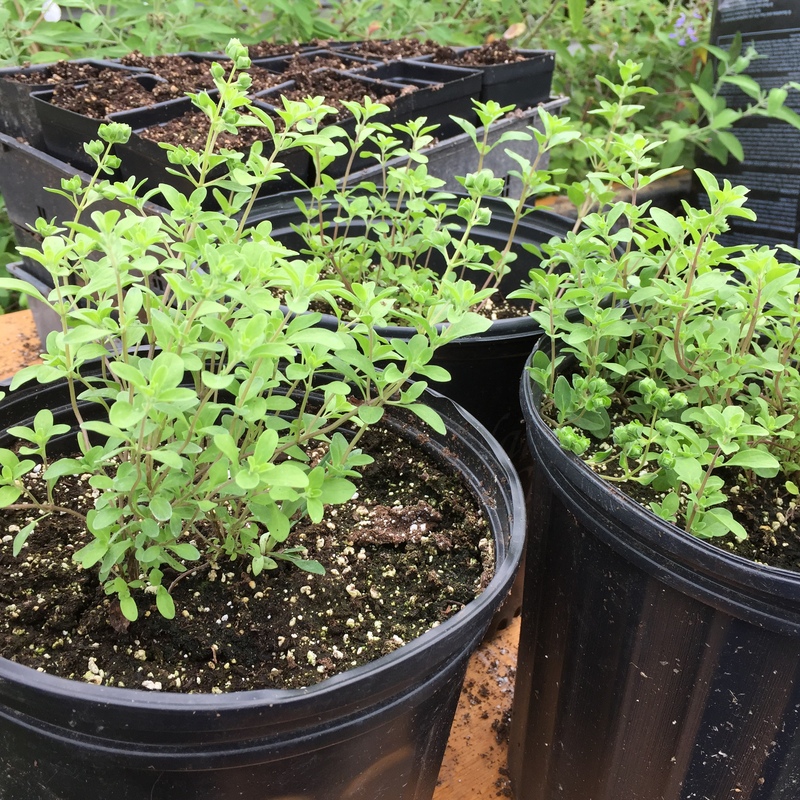 marjoram plants – much bigger – just 3 weeks later! Posted on July 6, 2015 July 6, 2015 by sorrelbarbara	Bookmark the permalink. Brilliant Barbara!!! I love the simplicity of the soup…it lets the herbs be the shining star of the recipe. Can’t wait to give it a try!